Students may wish grammar would go away, but there are ways to deepen their engagement. Grammar can produce anxiety for teachers because it’s maddeningly hard to teach effectively and has a lot of intimidating terminology like dangling modifiers and adverbial clauses, and every rule has exceptions. Further complicating matters is the fact that there’s great doubt about whether many traditional methods of teaching grammar—like the direct teaching of grammatical terms or use of grammar worksheets—work at all. In 1963, researchers argued that “the teaching of formal grammar has a negligible or, because it usually displaces some instruction and practice in actual composition, even a harmful effect on the improvement of writing,” and over 250 studies since that time, as well as a meta-analysis from the Carnegie Corporation in 2011, have widely supported that statement. All of this is enough for the authors of Grammar Alive! 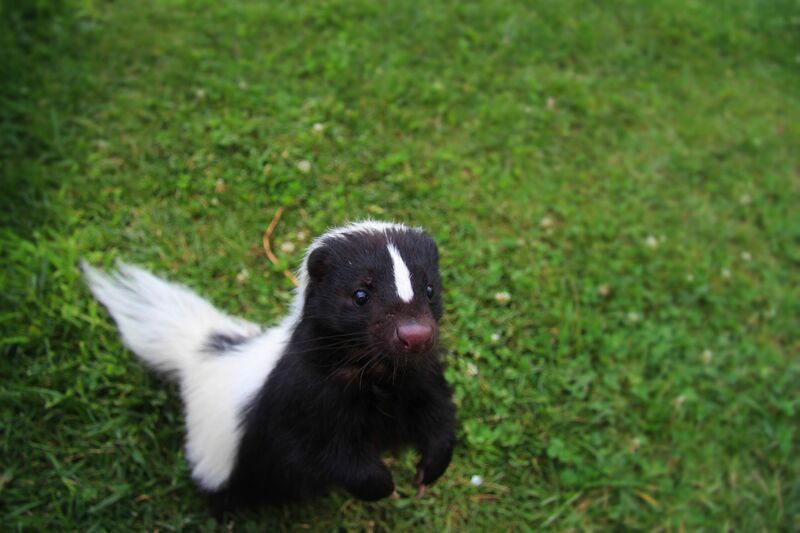 to call grammar “the skunk at the garden party of the language arts,” and like a skunk, most students and teachers probably wish it would just go away. But it isn’t going anywhere. Beyond its central role in standards and tests, grammar matters because troubled mechanics can and often do obscure meaning, and students who use the wrong grammar at the wrong time run a major risk of being judged harshly or not taken seriously in the wider world. So what then are teachers supposed to do? One option is to stop isolating grammar in its own box and to instead embed it into the reading and writing already happening in the classroom. This in-context approach has shown promise, but it can be tricky to implement—it isn’t as simple as handing students a worksheet with rules and exercises, and it looks different in every class. There are some core concepts, however, that can help teachers bring grammar out of isolation and into the daily work of their classrooms. Discuss what grammar is: In a 2012 English Journal article, Jill Ewing Flynn recalls a lesson she observed in which the teacher discussed what Standard English is, where it came from, and what its connection is to power and prejudice. What struck Flynn was how quickly the students’ skepticism of grammar morphed into a desire to know more, but that makes sense because a conversation like this gives students some context for why learning the rules of Standard English grammar now will help them improve their lives in the future. Executing a lesson like this can be difficult, as language is a personal and controversial subject, but if handled with care, such a lesson can motivate and inspire students to work at learning grammar. Make grammar instruction about choices, not errors: In a video called “The Craft of Grammar,” Jeff Anderson explains that one of his main goals is to sabotage the students’ notion that grammar is about finding errors and reframe it as being about empowering them with tools and choices. His notion is that students understand passive voice better by dissecting how politicians use it to deflect blame than they ever would from correcting passive voice “errors” in a worksheet. Use and imitate mentor texts: Harry Noden, author of Image Grammar: Teaching Grammar as Part of the Writing Process, suggests exposing students to excerpts with different grammatical structures and moves and then having them imitate the excerpts to deepen their understanding of what the authors are doing. The end goal of this is to expand the students’ toolboxes of grammatical moves, which will in turn help them develop their voices. One of my favorites is the lesson in which Noden has students mimic a 126-word sentence about the exhilaration of flying a fighter jet from Tom Wolfe’s The Right Stuff to describe an upcoming school dance, big game, first date, or anything else that is exciting in their lives. Teach sentence combining: One approach to teaching grammar that finds almost universal support in research is sentence combining, which is where teachers show students how to combine and break apart sentences. Doing this is pretty straightforward—give students a list of information such as, “I went to a movie, it was on Friday, it starred Chris Pine, and I thought it was all right.” They move the information around, creating as many sentences as possible, and the resulting lesson touches upon everything from run-ons and fragments to sentence length variation to use of commas. What makes this type of sentence combining lesson so effective is that it forms a bridge that shows students how talking about things like clauses and commas can actually help them improve their writing. Grammar might not ever be most students’ or teachers’ favorite delight in the garden party of language arts, but it needs to stop being the skunk. And that starts by unplugging our noses and inviting it with open arms to play a more central, positive, and interconnected role in our classes.